We all know that there’s a lot of crap out there so when I chance upon some really top of the line stuff I feel obligated to pass on the info to you. Remember Kathy Ireland, the ex model? Well, guess what. Not only is she famous for designing furniture, et al, now she’s into designing top quality cashmere apparel. KATHY IRELAND for BRODIE CASHMERE just launched a fall collection of sweaters, accessories, tunics, wraps etc fashioned from the finest Mongolian yarn offered in wonderfully subtle colors and in sizes ranging from s through xl. Let’s face it, cashmere is the king of knits and this debut collection is spot on for style and quality. Why not dress up that understated cashmere ensemble with a bit of bling. Nothing garish you understand just a bit of subtle sparkle. Enter BOMBAY JEWELLERY - with two "L's" and its delicate diamond collection. 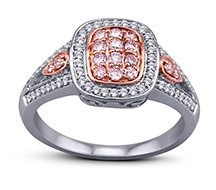 I fell in love with the range of its "Naturally Pink" diamond rings, particularly the designs that featured stones of one carat or less. Sometimes less truly is more as this collection proves. Bombay Jewels also offers delicate drop earrings, studs and more but it’s the rings that stand out. Not cheap by any means but worth the money. What’s that old saying, diamonds are a girl’s best friend? How true! is C&C's Favorite Rock Star! **Thank you, Ana Martins PR for Letting C&C See Bombay Jewellery! Now that I’ve dressed you it’s time to add the finishing touch and that’s French perfume, bien sur! HAYARI PARIS is the newest collection of luxury fragrances from the couture house of Nabil Hayari, a Parisian fashion designer. Let me tell you right off the bat, I’m very particular when it comes to perfumes and the packaging. 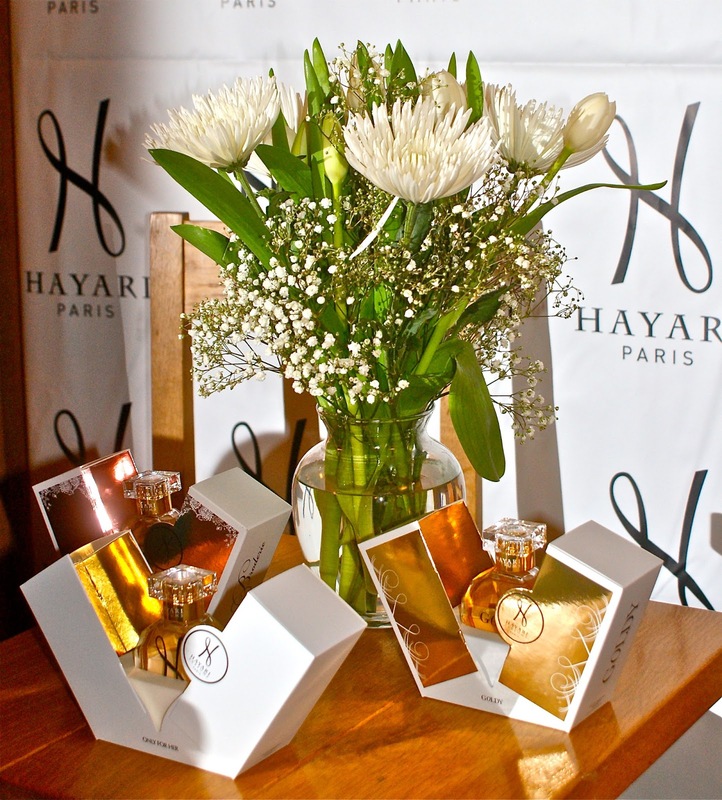 Hayari - Beautiful Perfume, Elegantly Contained! I want a fragrance and bottle design that will stand the test of time since I save the prettiest bottles. 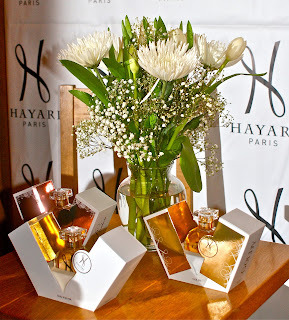 Hayari is offering three gorgeous scents that I would happily purchase. “Goldy” reflects a warm, powdery, woody glow and is a blend of jasmine and orange blossom, sandalwood and cedar. “Broderie” (my favorite) features lily and gardenia, complemented by sandalwood, amber and patchouli. “Only for Her” blends grapefruit, Egyptian jasmine, peony and magnolia, with hints of sandalwood, patchouli and vanilla. So far the fragrances are available exclusively a C.O. Bigelow in Manhattan and retail for $145 for a 1.7 oz bottle. For more info go to www.bigelowchemist.com. Now that I’ve taken care of your appearance why not go all the way and make your living arrangements “couture” as well? Enter LALIQUE and the introduction of a brand new collection of Art deco-inspired furniture, interior design accessories and –wait for it – luxury bed linens. 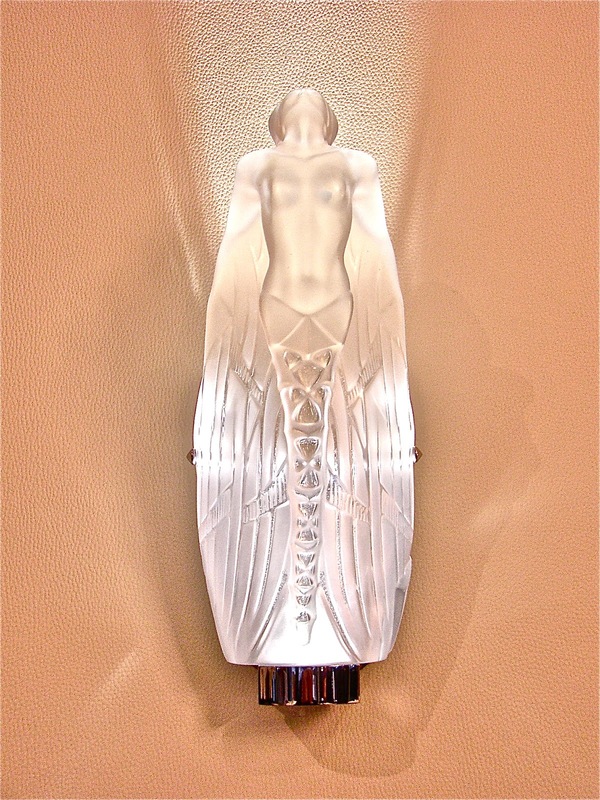 Internationally renowned designers, Lady Tina Green and Piero Mingarelli have created the entire Lalique Maison collection produced by master craftsmen in black or white lacquer or ebony wood detailed with the magnificent crystal that the brand is famous for. Before you get carried away let’s go back down to earth since the prices are definitely in the couture category but a girl can dream. Why not settle for a piece of Lalique jewelry or perhaps a small vase or perfume flacon? In any case it doesn’t cost anything to dream so stop by the Lalique boutique and start training your eye. Couture isn’t always about price so why settle for crap? Until next time, C & C.